Twenty-five years after a cod moratorium devastated Newfoundland and Labrador, a new generation hopes to turn the old business model on its head. If you want to find out if there'll ever be a vibrant, successful commercial cod fishery off Newfoundland and Labrador again, start with the guy whose boat sank in some of the most formidable waters in the country. "Groundfish is not coming back, it is back," says Brad Watkins, who is determined to be at the vanguard of a reimagined cod business. Two years ago, his boat, the Atlantic Charger, sank in the frigid waters of Frobisher Bay, off the coast of Nunavut, nearly costing the lives of the nine men on board. Despite that severe setback, Watkins is back in the game, investing hundreds of thousands of dollars in state-of-the-art fishing gear and capitalizing on easy-on-the-ocean technology. He is eager to help a long-beleaguered industry get back on its feet, while also determined to throw the old business model completely on its head. If Watkins and others succeed, the industry they'll lead will barely be recognizable to those who fished for cod in Newfoundland years ago. For many of the years before the moratorium, the waters off the east coast of Newfoundland were home to one of the largest fish stocks in the world. Fishermen regularly landed between 400,000 and 600,000 tonnes of cod every year. Cod dominated the Newfoundland fishery and Newfoundland cod dominated the world market. But even before July 2, 1992, the day the Canadian government imposed the moratorium, putting tens of thousands of people out of work, there were problems. In the old model, the harvesters made their money on quantity. Catches were high but payouts were low. Since there were a lot of fish in the water, they could just go back for more. When the moratorium kicked in, the plan was to cut out fishing for a few years and give stocks a chance to recover. Twenty-five years later, cod stocks have only just begun to recover. 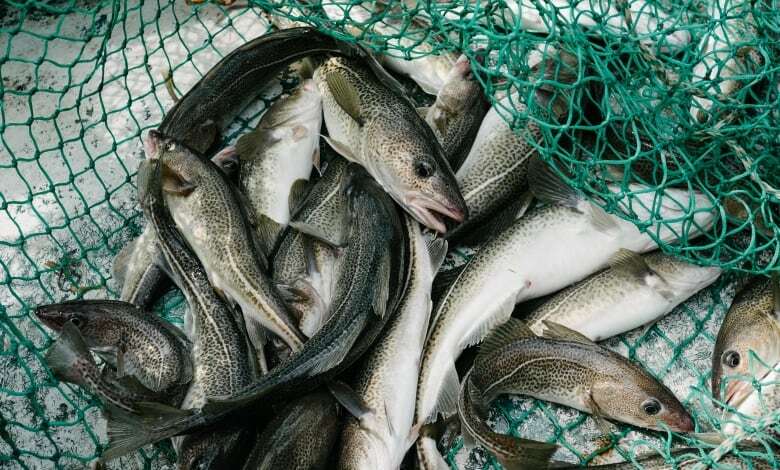 Scientists say warming waters and a healthier capelin stock have contributed to cod's recent resurgence which, they say, has been "spectacular." The waters off the East Coast, once home to the largest stock of northern cod in the world, now support a small, so-called "stewardship" cod fishery. Fishermen aren't allowed to catch much — combined, their annual catches are kept far below 20,000 tonnes. Compared to pre-moratorium annual cod catches that were often 20 times as high, it seems the moratorium has hardly been lifted at all. As a result, the numbers of fishermen in the province has steadily declined: in the late 1980s, there were more than 12,000 fishermen on the water. These days, there are fewer than 3,500. Each summer, photos fill up social media feeds of what appear to be bountiful catches in the annual recreational fishery, which allows the public to catch enough cod for a few meals. Commercially, though, Newfoundland and Labrador is far from having the pre-moratorium stocks of fish to draw from. One thing is clear: cod quotas will be low for a very long time. No one will be making money based on the massive harvests of the past. The way Watkins sees it, it's a bit of unfinished business. "Mother Nature put me on hold and I just felt like I had to get back at it," said Watkins, who runs a fishing enterprise out of Baie Verte — and whose own setbacks made national news when the Atlantic Charger went down. 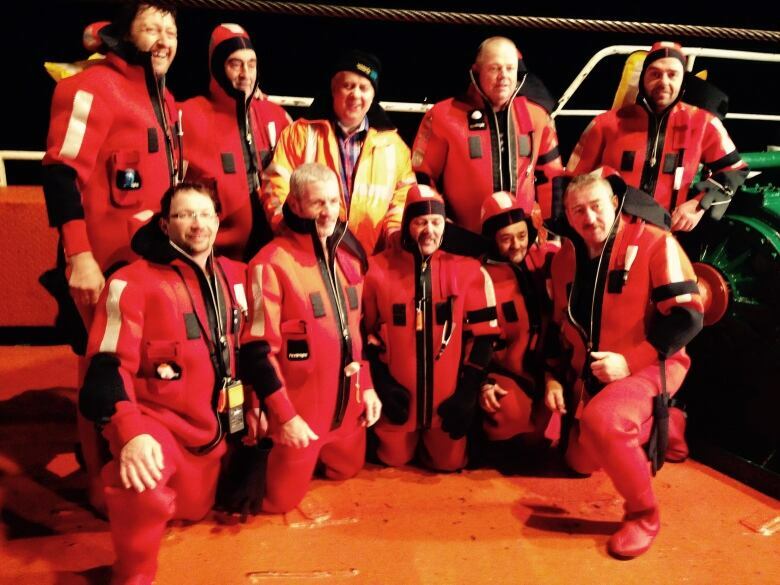 Before a Danish ship saved the lives of the crew, the nine men had been adrift in a rescue raft for 12 hours, slammed by four-metre waves in some of the coldest, most remote waters in the world. After that trauma, Watkins might have considered cashing his insurance payment and cashing out of a business known for harsh, sudden turns — both at sea and in the marketplace. Instead, he plowed ahead with plans to be at the vanguard of a new, reconsidered cod industry. Before the sinking, Watkins had just invested in a new high-tech fishing system for the Charger: a Mustad autoline. It's an automated hook-and-line fishing system that would allow him to catch fish one by one, hook by hook. He bought the system with his eye on the rebounding cod stocks and a whole new way of fishing cod. "I wanted to be first out of the gate," he said. In what was the single stroke of luck involved in losing his boat, he had not yet put the autoline on the Charger. He was getting it ready for what would have been the vessel's next voyage. "But of course, she never made it back," he said. Watkins is getting that autoline ready for a new boat, the Newfoundland Mariner. He's looking into a $4.3-million vessel that could support a slurry machine, which would keep his cod cool but not frozen. And he's looking toward a second chance at the Newfoundland cod fishery. "I think the fishery can be huge for the island," he told CBC News. "I think it can be so much more than it has been." He's part of a growing group of young, business-minded people who are pushing for a Newfoundland cod fishery like we've never seen it before. They're looking at new technology, new markets and new regulations. "We have to bring the product in fresh, and there's different system and technology for that now," he said. "From chilling your water to slurry systems, the way you bleed it, the way you handle it, it's going to be a learning curve for most Newfoundlanders. "It's going to be a different fishery." The new cod fishery will have to support quotas that seem tiny compared to the pre-moratorium days. Everyone will have to make more money on fewer fish. That means cod needs to be caught differently, handled differently, processed differently and marketed differently. It means the new cod fishery will have to be regulated differently. The old business model that once helped Newfoundland and Labrador dominate the global fish trade was based on high volumes of frozen, lower-quality cod, sold en masse to the markets in what was called cod block, to put things like fish sticks on kids' plates around the world. "With the quota cuts and the fish not being in the water like it used to be, again, quantity has to go and quality has to come in," said Watkins. "So we maximize the value and we don't need so much fish in order for it to be viable." Over the last 25 years, the groundfish industry has shifted toward fresher, higher-quality and year-round product. "It's the way the world's going, for the quality of the fish," said Watkins. "It's what the restaurants want, it's what the markets require." As Watkins puts it, the new cod fishery will have to be driven by the market — a tough move in a province where fisheries policy has often been calculated by political considerations, like trying to maintain as many jobs in as many places as possible. "The politics have to come out of it," he said. "We have to get out of the idea that there has to be a landing port at the end of every road, we have to get out of the idea that the quota has to be spread down to as many people and fishermen as possible. It can't be a last-resort job, it has to be business-oriented." 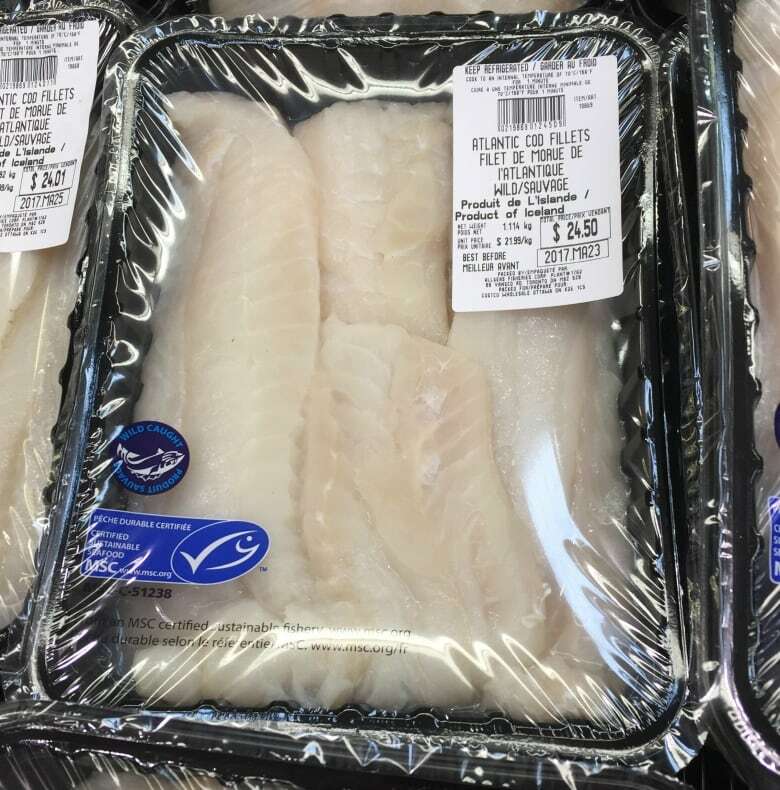 A glimpse of the new cod market can be seen on Stavanger Drive in St. John's, where Costco customers can find coolers full of fresh, unblemished cod fillets all year round. A 1.12-kilogram pack sells for $24.50. The fish has been shipped all the way from Iceland, in large part because Iceland meets a higher environmental standard that Costco now expects from its vendors. No fish processors in Newfoundland and Labrador currently meet that certification. Iceland happens to be the country that many players in the local fishery admire. 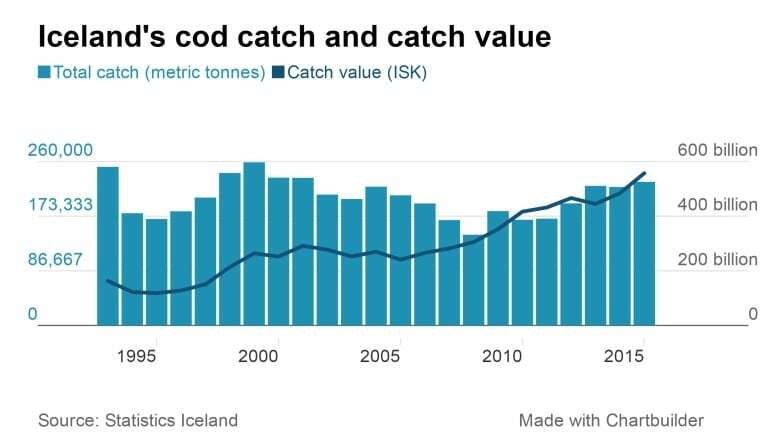 Over the past 30 years, Iceland's cod catches have declined by almost half under tight quotas imposed after stocks began to decline. Iceland took the declining stocks as an opportunity to completely reinvent its fishery, and they succeeded: over those same 30 years, the export value of Icelandic cod has increased by almost 150 per cent. In fact, though it accounts for just a fraction of its overall catch, cod is Iceland's most valuable seafood export. They learned how to get more money for less fish. The comparison between Iceland's experience and what Newfoundland and Labrador has encountered over the last 25 years is remarkable, as these two charts show. Carey Bonnell, head of the School of Fisheries at the Marine Institute, thinks Newfoundland should be taking pages from Iceland's playbook. "For much of our fishery, our incentives have been — and in some ways continue to be — volume-based," he said in an interview. "The fisherman with most quotas, the fisherman with the most licences, tends to have the most leverage and tends to get the best price. That's worked generally fine for, say, shrimp and crab. But that model is not going to work for cod." The new cod fishery, said Bonnell, has to incentivize quality, from catch to table. "We need to evolve from an industry that's been focused on volume over value and had employment maximization as our primary objective," Bonnell said, "to an industry that focuses on value over volume and has quality of employment as our end proposition." Bonnell's call marks a substantial shift away from decades of practice, where thousands of people worked in the fishery — particularly in processing — as seasonal employees. But many of those jobs have disappeared, and the relative importance of the fishery has diminished as Newfoundland and Labrador's economy has diversified, with offshore oil leading the way in new jobs. The above graphic reflects the number of Newfoundland and Labrador harvesters who own fishing licences. The number of crew members is not included. Iceland makes money from high-quality fillets and they dominate the world fresh fillet market. Their fishermen catch cod using hook-and-line, hand line and autoline systems, exactly like the system Watkins has — baited hooks spaced along long wires that are released from the boat. When the lines are pulled back in, there's a live codfish on each hook. A hook-and-line or autoline system is much more expensive than cheap but controversial gillnets, which have been common for decades in Newfoundland. Cod are called groundfish because they swim near the bottom, so gillnets — expanses of net that are weighted to the ocean floor — are a no-fail way to catch a lot of cod. But gillnet cod are often of low quality: sometimes the fish are in the nets for too long and die before they're pulled up to the boat. Worse, the nets aren't as discriminating as hook-and-line systems because they ensnare many types of fish other than cod. That fact alone means the nets run afoul of buyers who put an emphasis on sustainable harvesting. Icelandic harvesters also have on-board slurry machines, or cooling systems that keep the fish fresh but not frozen. The harvesters gut and bleed the fish on board the vessel and then put them on ice with the slurry system. A hook-and-line and icing system keeps the bruising — streaks of pink and red — out of the flesh, helping top-quality fish earn top prices in the market. Compared to a gillnet, these systems come at a staggering cost. Watkins says he invested $300,000 in the autoline, and a slurry system is about another $100,000. According to Bonnell, a well-functioning cod fishery would reward Watkins for his investments with top prices for his fish. "Fishermen are not going to invest in these things unless there are incentives to reward them for doing so," Bonnell said. He points again to Iceland, where much of the country's fresh cod is sold to buyers through an online market. The higher the quality of the fish, the higher the price paid to harvesters. A transition into a market-driven fishery won't be easy, he said. "I think, to be frank, it's a more challenging discussion for the baby boomer generation that came out of this industry and came out of the older model," he said. "But I'm encouraged by some of the younger fishermen and processors that I talk to who still believe in a future for this industry and still see opportunities. And they know that is has to be a value-based enterprise." How much fish should be caught? Last April, a group of processors and representatives from the Fish, Food and Allied Workers union formed the Newfoundland and Labrador Groundfish Industry Development Council. The council is also looking toward quality-based cod fishery with a longer season that could compete with Iceland. "There's government funding available to help with this transition so we'd like to weigh in on that," said Paul Grant, executive vice-president of Beothic Seafood Processors and one of the council's founding members. "We think proponents or recipients should also put in some of their own money," Grant said in an interview. "No repeats of past mistakes — people have to put some skin in the game." Last year, the council submitted a proposal to the federal Department of Fisheries and Oceans to restructure catch allowances for cod off eastern Newfoundland. Instead of opening the fishery to different vessels for small periods of time throughout the season, it proposed weekly catch limits. 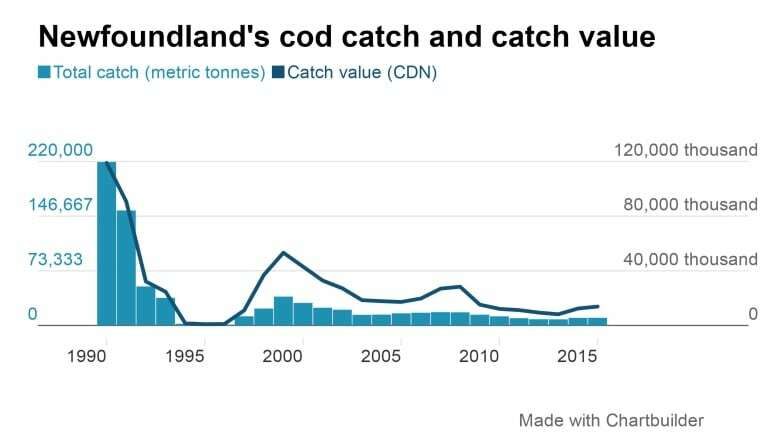 With the new limits, nearly 10,000 tonnes of cod came out of the water, more than double the catch from the year before. This year, the council asked that the weekly limits go up and the season be extended. Grant said he expects the increases will result in a total catch of 16,000 metric tonnes, 60 per cent more than last year. The proposal is not welcomed by scientists. 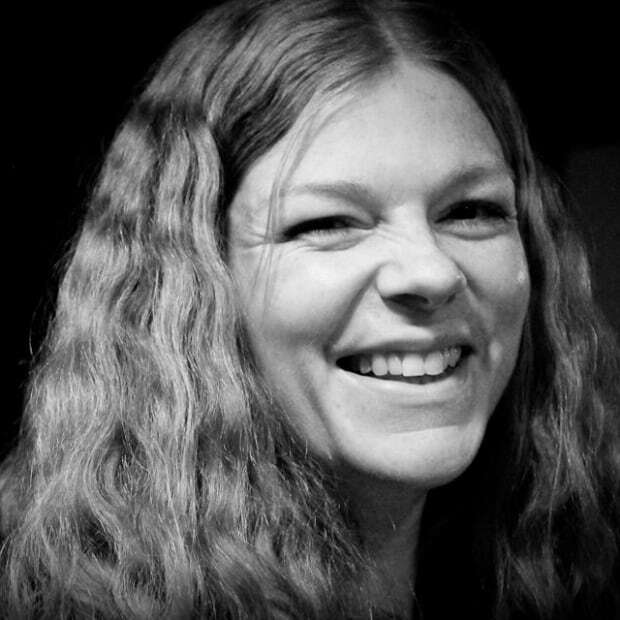 Sherrylynn Rowe, a leading Atlantic cod researcher based at Memorial University, wrote an appeal in the journal Nature, urging the federal government to reject the proposal and keep the quotas low. "There was no stock assessment this spring, despite the advice of the Canadian parliamentary fisheries committee for annual assessments," she wrote. "Meanwhile, the available data indicate that the cod's comeback may have stalled." After the gut-wrenching disaster with the Atlantic Charger, Watkins is finally looking launch his first season of hook-and-line cod fishing with the autoline later this year. 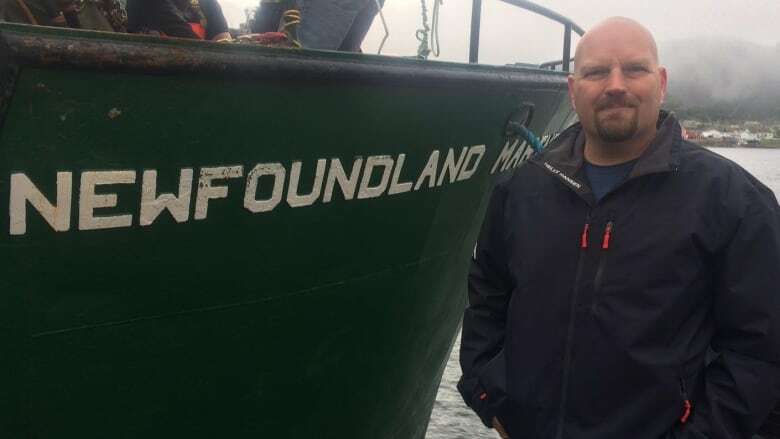 The time and money lost, and the money he's put into the new fishery, make the perennial bickering in Newfoundland and Labrador's fishing industry over the rebounding groundfish all the more frustrating. "Everybody from the union to DFO to the provincial government is doing their own thing," he said. "Nobody is coming together to pool together to make the industry what it can be." Watkins is frustrated that — a quarter-century after the cod fishery failed spectacularily — there is still no agreement on how get it right. "I've been to other places in the world where you're proud to be a fishermen, whereas in Newfoundland it's negative, it's always been negative," he said. "But we're all proud of what we do. There's just a stigma there because of all the things that have happened in the past. "It'd be nice to see the fishery on top and be what it can be." Sarah Smellie is a journalist in St. John's.